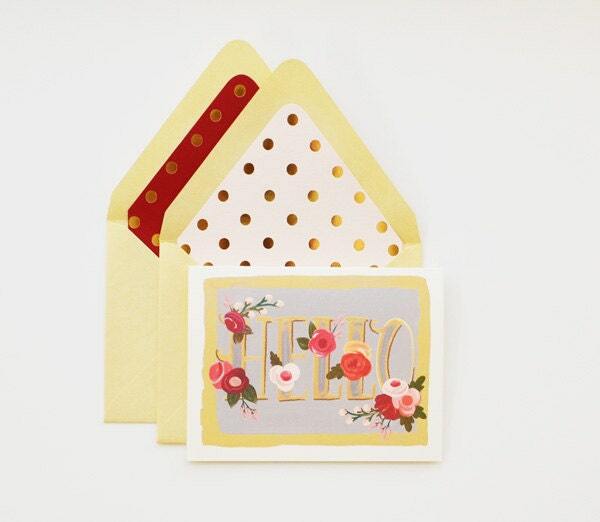 This note card features a super cute hand painted 'HELLO' with florals tucked and adorned about. Say "Hello" in pretty gold with florals! We are making these with an extra touch of lovely and we have added our favorite polka dotted gold foil liners these.